Vurderet af gæster efter deres ophold på Northwoods Resort Cabins. Vær sikker på at få en god pris på Northwoods Resort Cabins - vurderet til 9,3 af andre gæster. Excellent experience. Friendly staff and the accommodations exceeded expectations. The cabin was a perfect size for 2 people - very spacious and clean. Well equipped with dishes for cooking and serving and plenty of extra sheets and blankets. The cabin has the "general rules" posted by the door which direct you to the appropriate resources for extra towels and toiletries. 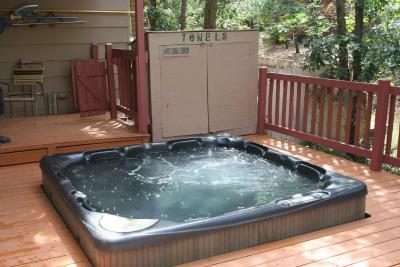 The bathroom has a jacuzzi tub, perfect for two. The office has plenty of information about the surrounding to include restaurants and sights to see. 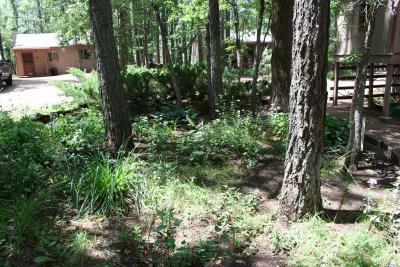 The cabins are spaced far enough apart that you feel like you're in the woods by yourself which provides a lot of privacy and there is a general / communal fire pit area where everyone can gather. The wood burning fireplace made the stay in the cabin good. 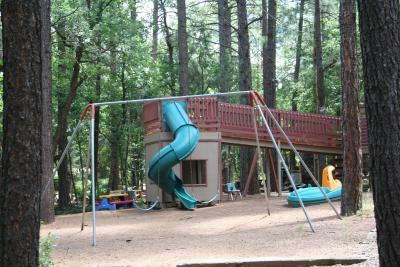 The accommodation for our child and pet was key as they had lots to do on property with kids and welcomed large pets. The kitchen area was also good as the appliances worked and the table was decent. 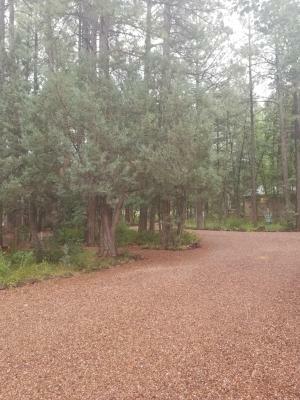 Outside the property was beautiful with lots of walking trails and a great staff that was friendly and accommodating. It was clean and comfortable. Fully stocked! Owners and staff are very nice. We enjoyed the hiking trails and campfire. It was quiet. We are from Phoenix so we enjoyed the cool tempatures. We will be starting a family tradition ti come every year!! 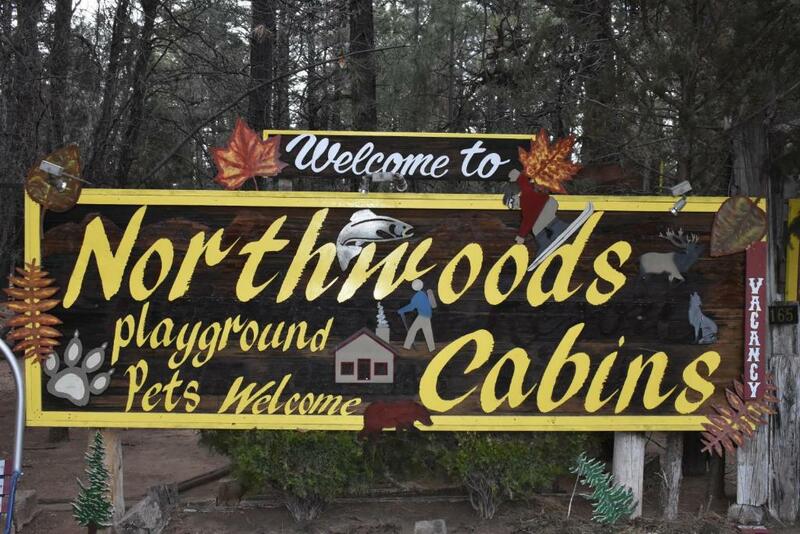 I had never been to pinetop before. My fiancé and I were in need of a little stay-cation and decided to rent out a cabin in the woods. Upon arrival, it’s pretty secluded, yet close to EVERYTHING in town. We went horseback riding, so much hiking available, shopping, restaurants, etc. We were even close to the lake. The couple who owns this is amazing and so helpful. The owners are wonderful they are so helpful and friendly. Our cabin was clean and well stocked the location was great and I would come back again for another visit. I would recommend to any family or friends. Quiet, lovely grounds, easy check in. Stocked with what you need to cook. 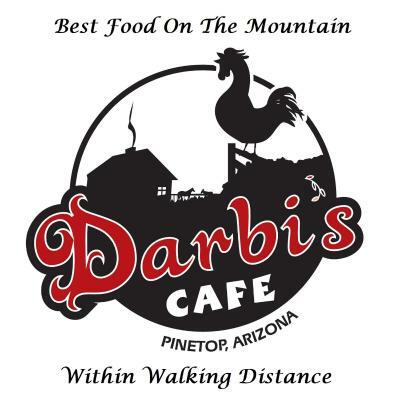 The owners are very friendly and the price was well worth it. "Excellent experience. Friendly staff and the accommodations exceeded expectations." 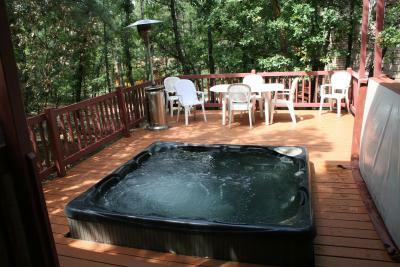 "The cabin was a perfect size for 2 people - very spacious and clean. Well equipped with dishes for cooking and serving and plenty of extra sheets and blankets. " "My wife and I really enjoyed our stay. Bill and his wife the owners were very kind. Very peaceful and relaxing it was chilly out and windy but the cabin was amazingly warm fireplace worked great. " 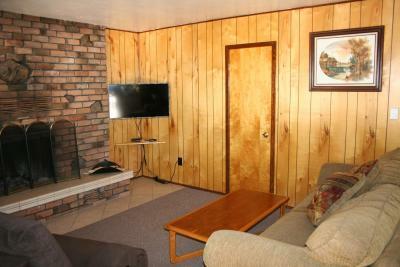 "The wood burning fireplace made the stay in the cabin good. 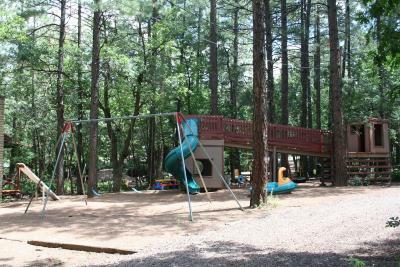 The accommodation for our child and pet was key as they had lots to do on property with kids and welcomed large pets. " "It was clean and comfortable. Fully stocked! Owners and staff are very nice. We enjoyed the hiking trails and campfire. It was quiet. We are from Phoenix so we enjoyed the cool tempatures. " 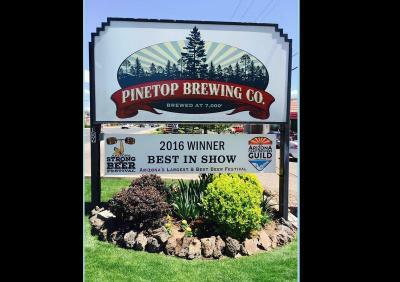 "I had never been to pinetop before. 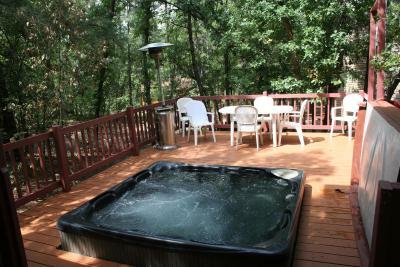 My fiancé and I were in need of a little stay-cation and decided to rent out a cabin in the woods. " 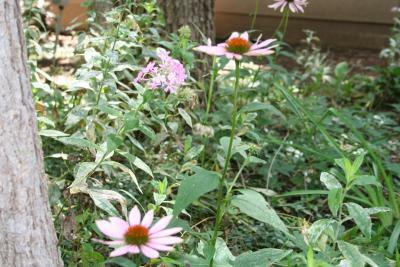 "The owners are wonderful they are so helpful and friendly. 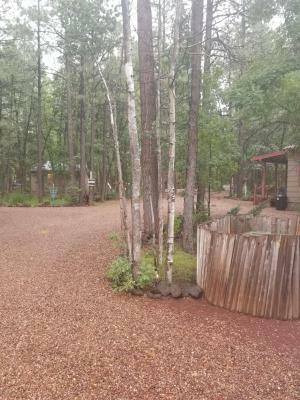 Our cabin was clean and well stocked the location was great and I would come back again for another visit. " "Quiet, lovely grounds, easy check in. Stocked with what you need to cook." "The owners are very friendly and the price was well worth it." 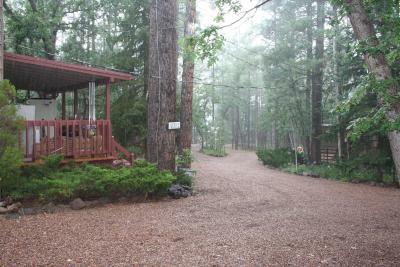 "I was not expecting much, but when we arrived the cabin was immaculate. We had an amazing stay. You feel like you are in the woods but still pretty close to everything in town😊"
Northwoods Resort Cabins ligger i Pinetop-Lakeside og tilbyder indkvartering med gratis WiFi og fladskærms-tv samt kasino. Samtlige ferieboliger har terrasse, køkken med ovn og eget badeværelse. Der er også mikrobølgeovn, brødrister og kaffemaskine. Hotellets restaurant serverer amerikanske retter. Det er muligt at stå på ski i området, og ejendommen tilbyder skiopbevaringsrum. Show Low Regional Airport ligger 19 km fra ejendommen. Dette overnatningssted har fået en af de bedste karakterer i Pinetop-Lakeside for beliggenheden! Gæsterne synes bedre om den i forhold til andre overnatningssteder i området. Dette overnatningssted har fået en god karakter for "Valuta for pengene" i Pinetop-Lakeside! Gæsterne får mere for pengene i forhold til andre overnatningssteder i byen. Northwoods Resort Cabins har budt gæster fra Booking.com velkommen siden d. 19. jun. 2014. Hvornår ønsker du indkvartering på Northwoods Resort Cabins? 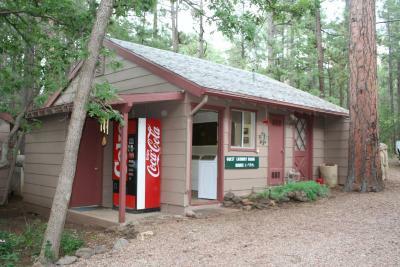 This 1-bedroom cabin includes a sofa bed, full kitchen and a covered porch with barbecue facilities. This holiday home features a soundproofing, private entrance and seating area. This holiday home has a kitchenware, sofa and toaster. This chalet features a seating area, dining area and kitchenware. This holiday home has a soundproofing, garden view and microwave. This holiday home has a patio, toaster and barbecue. This holiday home features a barbecue, microwave and fireplace. This holiday home has a seating area, toaster and fireplace. This chalet features a private entrance, kitchenware and stovetop. This holiday home has a private entrance, kitchenware and stovetop. 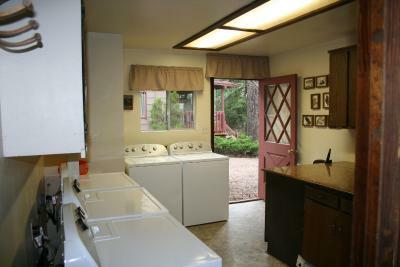 This holiday home features a stovetop, seating area and kitchenware. This holiday home has a dining area, fireplace and oven. This holiday home features a barbecue, oven and stovetop. Før du booker Northwoods Resort Cabins tager imod forespørgsler! Angiv dit ønske i næste trin. Northwoods Resort Cabins tager imod disse kort og forbeholder sig retten til midlertidigt at reservere et beløb på dit kreditkort forud for ankomsten. 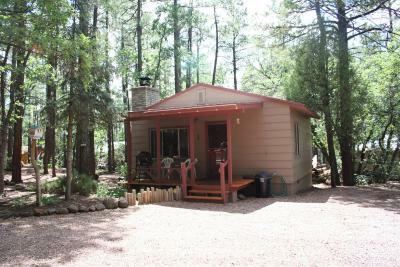 "The cabin was a perfect size for 2 people - very spacious and clean. Well equipped with dishes for cooking and serving and plenty of extra sheets and blankets. The cabin has the "general rules" posted by the door which direct you to the appropriate resources for extra towels and toiletries. 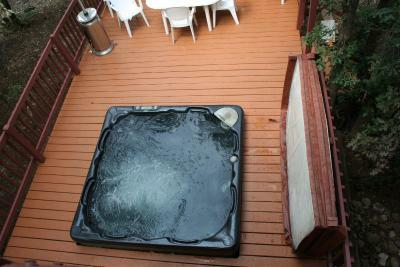 The bathroom has a jacuzzi tub, perfect for two. The office has plenty of information about the surrounding to include restaurants and sights to see. 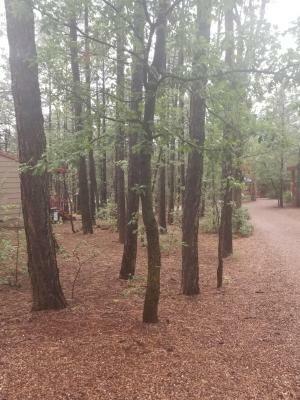 The cabins are spaced far enough apart that you feel like you're in the woods by yourself which provides a lot of privacy and there is a general / communal fire pit area where everyone can gather." "My wife and I really enjoyed our stay. Bill and his wife the owners were very kind. Very peaceful and relaxing it was chilly out and windy but the cabin was amazingly warm fireplace worked great. Get Chad everything we needed. If I had anything that I wanted to complain about I guess it would be the frying pan but as you could imagine they can't keep top chef quality frying pans in a place where people are in and out of all the time other than that this place was perfect and the frying pan works just fine I'm just picky when it comes to cooking utensils. Hope you stay there and enjoy yourselves. God bless"
"The wood burning fireplace made the stay in the cabin good. 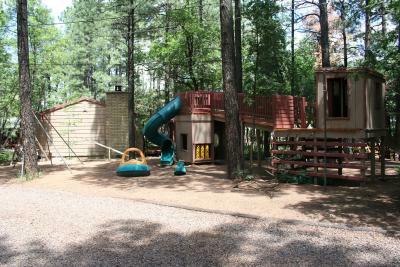 The accommodation for our child and pet was key as they had lots to do on property with kids and welcomed large pets. The kitchen area was also good as the appliances worked and the table was decent. 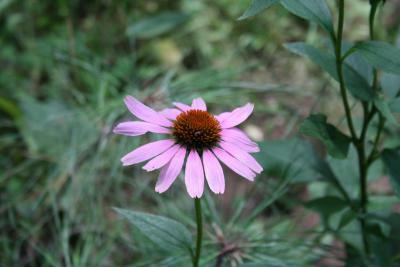 Outside the property was beautiful with lots of walking trails and a great staff that was friendly and accommodating." "It was clean and comfortable. Fully stocked! Owners and staff are very nice. We enjoyed the hiking trails and campfire. It was quiet. We are from Phoenix so we enjoyed the cool tempatures. We will be starting a family tradition ti come every year!!" 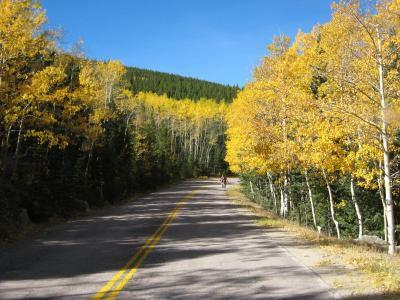 "I had never been to pinetop before. My fiancé and I were in need of a little stay-cation and decided to rent out a cabin in the woods. Upon arrival, it’s pretty secluded, yet close to EVERYTHING in town. 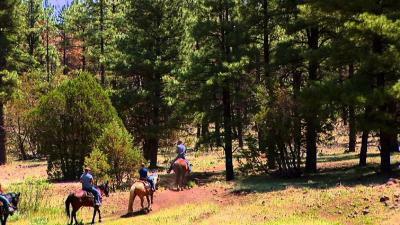 We went horseback riding, so much hiking available, shopping, restaurants, etc. We were even close to the lake. 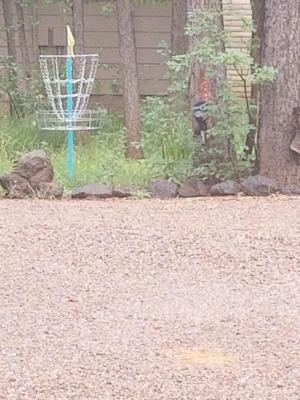 The couple who owns this is amazing and so helpful. " 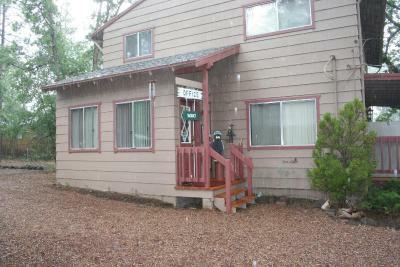 "The owners are wonderful they are so helpful and friendly. Our cabin was clean and well stocked the location was great and I would come back again for another visit. I would recommend to any family or friends."